We eat, sleep and breath everything natural oils. We have spent the last decade supplying the olive oils, non-gmo and organic oils for natural manufacturers, restaurants, and small businesses throughout the US. And now you too! We carry and pack oils in bulk in our own production facility in Kent, Washington. When we supply larger food manufacturers, we do production runs based on custom needs, which means we've always had to maintain our one pallet order minimum when orders ship from our warehouse. 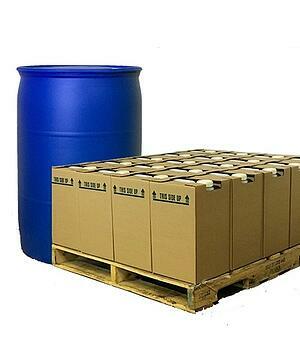 We've also spent years talking with small businesses owners that need smaller volumes than a pallet, but more than one jug. Perhaps you're exactly that person. We know the challenges and stresses of your job -- and the things your ingredient suppliers can do to make your life easier. And this is exactly why we built this store! Because of the work we do with manufacturers, we have all of the quality certifications (Organic Certification, Non-GMO Project Verification, Kosher Certificate, 3rd Party Audits, Certificates of Analysis) that any business would need. Now you can order easily online and still get your quality documents! The traditional system to get price quotes takes so much time -- you have to research each different oil company, call for price quotes, and get a salesperson on the line to give you pricing. The oil industry has always provided bulk pricing behind a hidden veil based on volumes and other unknown factors. We wanted to create something different. 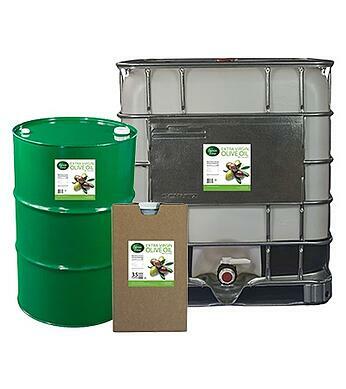 Now you can buy bulk oil shipped in totes, drums and 35 Lb. Containers — without taking the time to talk to a sales person, wait for price quotes to be emailed to you or for freight quotes to be estimated. All pricing is transparent and live on our website. How much will shipping cost? In the traditional sales system, getting this information typically requires your sales person pulling together a freight quote for the exact items you're going to ship -- and it's only good for a few days. Even exact price can take a while to get back. From our store, all you have to do is add your potential item to the cart and enter your address as if you are checking out (no obligation to complete the order). Your LTL freight quote will auto-populate showing you exactly what the shipping cost and your delivered total will be. Presto! Scrap the credit app, and pay with a credit card. Credit apps can take weeks to get your references to respond and get credit extended. From our online store, you can easily pay with a credit card, without any additional fees. Orders shipping from our online store go out within 1-3 business days, which means you will get your order fast. You can even get an estimated delivery date when you receive your shipping quote at check out.